Whether as a friendly companion or a fully-fledged family member, pets have become an important component to many households. It’s a wonder then, why estate plans often overlook pets. Planning for an animal care is like planning for dependent children. As such, trusts are seen to be superior to wills as they can bypass the lengthy probate process, which can significantly delay financial support for the animal. In addition, a will cannot protect and care for a pet in the event of their owner’s incapacity. If you make provisions for your beloved pet in a will, the person receiving your pet is under no obligation to care or keep for your pet. However, in a trust, the trustee has a legal duty to carry out your instructions. At its most basic level, a pet trust lays out instructions on how a pet should be cared for after its owner passes away or becomes incapacitated. First, select a trustee. Once you set up the trust, you must name a trustee. A trustee is chosen to manage the trust’s funds and oversees the caretaker’s compensation for caring for the animal. 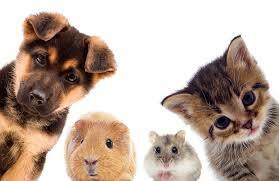 The trustee holds cash or other assets for the benefit of your pets. Funds held in the trust are used to pay for the pet’s care and related expenses. Expenses include routine vet check-ups, emergency vet care, grooming costs, feeding and boarding costs, and more. Next, choose the caregiver. A caretaker is usually chosen to be responsible for the pet’s day-to-day care. Funds are allocated to the trust to pay for various expenses such as food, veterinary care, and recreation. Make sure the caretaker you choose has adequate housing, time, and experience to look after the animal. To avoid trouble down the road, it is important to sit down and talk to the caretaker to make sure they want the job and discuss the responsibilities with them. Select at least two caregivers in case their circumstances change during your pet’s life. Finally, as another level of protection, a client can also choose to appoint an enforcer, who oversees the trustee. An enforcer enforces the provisions of the trust against the trustee. It is important to properly identify pet beneficiaries. Your pets can be identified by microchips, photos, licenses, or even by class. Next, set out a detailed list of care instructions. Include information about your pet’s standard living of care. This can entail the frequency of vet and grooming visits, food preferences, sleeping arrangements, and exercise. In your pet trust you can require inspections of the pet by the trustee. You may choose to determine what would trigger the pet being removed from the caregiver to the alternative caregiver. Finally, consider when to terminate your pet’s medical care when faced with a terminal illness. You may make the decision to terminate a joint decision shared by the vet, the trustee, and the caregiver. It is important to state how your companion will be handled upon passing. There are a few different factors to consider when determining the number of funds to allocate for a pet’s care. Species, length of lifespan and whether or not the animal has, or may need, special medical care, are usually the biggest defining factors. For example, animals such as macaws, parrots, and snakes may require more significant funds due to longer lifespans, than say dogs or cats. Also, certain types of dog breeds like American bulldogs and German shepherds may need more funding due to their predisposition to health issues like hip dysplasia and respiratory problems.Once the animal passes away, the remaining funds can then redistribute to the living beneficiaries or organization such as a charity. Pet trusts may be suitable for clients who have brought previously owned pets into their marriage, or if one spouse simply doesn’t share the same affinity for a pet. In the event that one spouse passes away and is concerned their surviving spouse may be unable or unwilling to care for the animal adequately, a pet trust can ensure the deceased owner’s wishes. This option also provides financial and logistical relief for the living spouse, as they will not have to worry about their spouse’s pet after they are gone. Creating a pet trust is like creating any other type of trust. An estate planning attorney can help with drafting the trust document itself. Make sure that your estate planning attorney, the trustee, and your pet’s designated caregiver receive a copy so that your wishes can be followed. Consult with one of our experienced attorneys today by scheduling an appointment at (614) 452-9724.